She is beautiful, she is a princess, and Aphrodite is her favorite goddess, but something in Helen of Sparta just itches for more out of life. Not one to count on the gods—or her looks—to take care of her, Helen sets out to get what she wants with steely determination and a sassy attitude. That same attitude makes Helen a few enemies—such as the self-proclaimed "son of Zeu She is beautiful, she is a princess, and Aphrodite is her favorite goddess, but something in Helen of Sparta just itches for more out of life. Not one to count on the gods—or her looks—to take care of her, Helen sets out to get what she wants with steely determination and a sassy attitude. That same attitude makes Helen a few enemies—such as the self-proclaimed "son of Zeus" Theseus—but it also intrigues, charms, and amuses those who become her friends, from the famed huntress Atalanta to the young priestess who is the Oracle of Delphi. 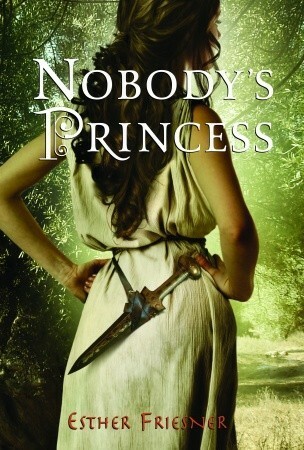 In Nobody's Princess, author Esther Friesner deftly weaves together history and myth as she takes a new look at the girl who will become Helen of Troy. The resulting story offers up adventure, humor, and a fresh and engaging heroine you cannot help but root for.